Our Lettings Department was established when we moved our office to the present address in 1998. It has gone from strength to strength since then and now become the core business of the company and one of the main services we offer to our clients. We concentrate on property lettings in Ealing, Acton and other surrounding areas. We also provide services in Middlesex, Central London including the West End, Kensington, Bayswater, City of London and other areas on the Northwest as well as Southwest side of River Thames. Our properties available to rent usually include furniture. 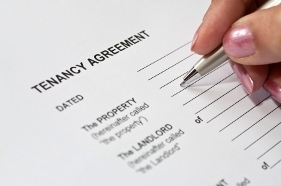 Nevertheless, there are some landlords who prefer to let the properties unfurnished. We let good quality properties that meet the statutory requirements. In these years we have successfully let properties to major corporate tenants, Japanese companies and individual professionals. The lettings team is managed by Luca Raimondi, who has more than 10 years’ experience in the rental market in Ealing and West Central London. Mr Raimondi is an ARLA member, well trained, knowledgeable and able to develop a great rapport with our clients and always happy to assist our landlords and tenants. We work in a professional manner but we remain informal, friendly and helpful. To search for our letting properties, please click here. All other related matters prior to the commencement and at the end of the tenancy.